The Alchemist’s Heady Topper, Trillium’s Congress Street, Bissell Brothers’ the Substance, Tree House’s Julius—these are some of the most coveted beers in the world, and they’re all made right here in New England. They have something else in common, too: A hazy, golden color; and a juicy, fruity aroma. While their makers all categorize them as pale or India pale ales, the Brewers Association—the Denver, Colo.-based trade group that supports the U.S.’s independent beer industry—has not. Until today. The 2018 guidelines, announced today, introduce three long-awaited new categories—one each for hazy pale ales, IPAs, and double IPAs—that formally recognize this hoppy deliciousness. Besides just vindication that hazy beers, while not “traditional,” are worthy of recognition, this news also means that they can be judged this year at the Great American Beer Festival. The industry’s most prestigious competition, heading back to Denver September 20-22 this year, will be the first contest to use the new guidelines. After that, they will govern future competitions, including the Brewers Association-sponsored World Beer Cup. Paste magazine’s beer writer Jim Vorel says the move “might well be remembered as an important moment in the history of India pale ale’s evolution.” Last year, in his GABF recap, he said “the elephant in the room” is that the most popular IPAs at the festival were effectively ignored by the medal-wielding judges. Night Shift Brewing makes a few juice bombs at its Everett brewery, including a sought-after, limited-release double IPA called Fluffy; and its flagship Whirlpool pale ale. 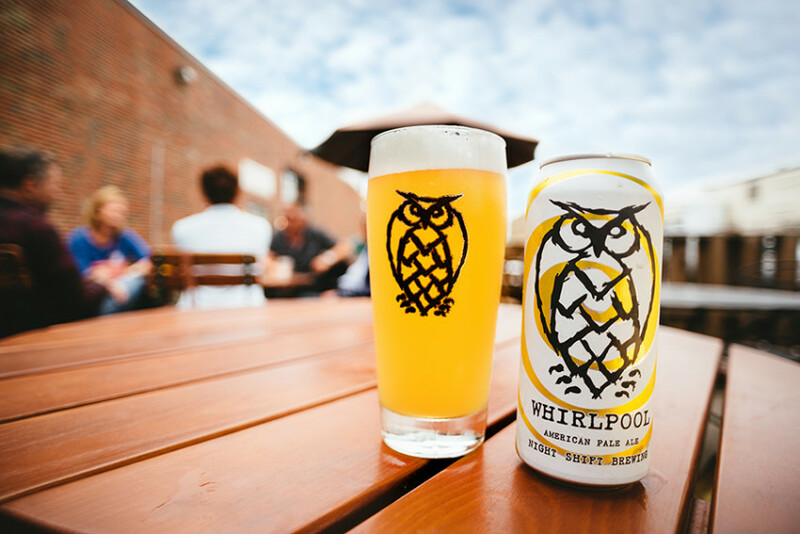 The brewery has a medal-worthy saison with Matisse (silver, 2017 GABF), and IPA with Santilli (bronze, 2016 World Beer Cup), but the crushable, craveable Whirlpool has never been awarded—and not for lack of trying. But he’s happy about the changes announced today. “I think it’s great that after years of industry debate, [hazy pale ales are] finally recognized as a unique style. I am certainly interested to see how this changes competitions and how many people will enter beers into these new styles,” he says. We’re just glad to see New England’s brewers’ innovative style get the national recognition it deserves. Among other updates, a new category has also been added for Contemporary American-Style Pilsener.